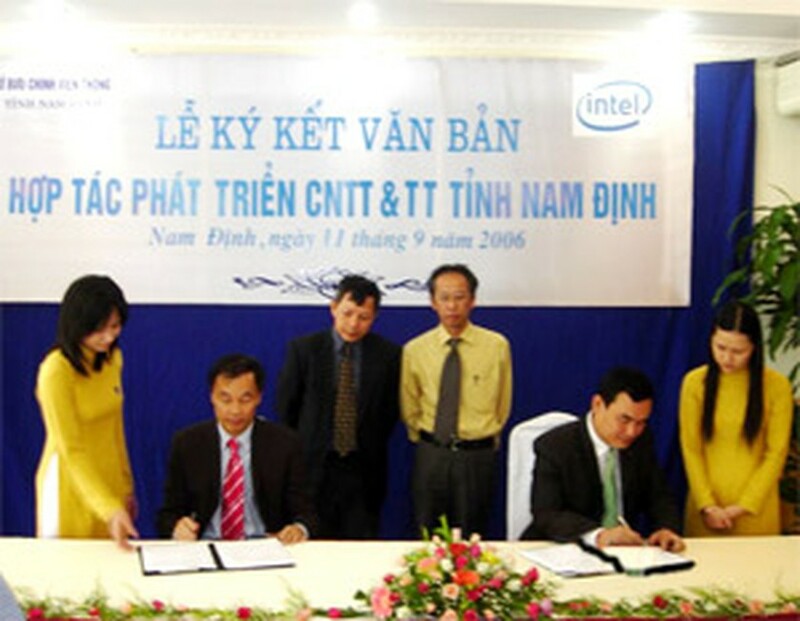 Intel Semiconductor Viet Nam Monday signed a Memorandum of Understanding (MoU) with the Nam Dinh Department of Post and Telematics. Under the agreement, which lasts from September 2006 to December 2007, Intel will advice policy legislators on strategies for ICT digital transformation as well as to improve ICT resources in the province. Intel also will assist the Department to develop the information computing technology (ICT) technical infrastructure that includes training and increases access to PCs with Internet connectivity. Mr. Nguyen Xuan Thanh, Director of Nam Dinh Department of Post & Telematics of Nam Dinh People’s Committee said, “We are targeting to improve our province’s index of “ICT Readiness” to the Top 20 provinces of Vietnam with the highest ICT Indexes by 2007”. 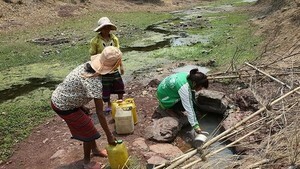 The department plans to increase Internet connectivity in provincial government offices and state-owned enterprises. It is intended that by September 2007, there will be 90 per cent of authorities and 70 per cent enterprises have websites. To support this objective, Intel will work with Nam Dinh department of Post and Telematics to accelerate the provincial portal to deploy e-government solutions and e-services, provide free of charge web-hosting service for all businesses in Nam Dinh province. Intel will continue to actively collaborate with local government in the next phases to help Nam Dinh province to complete its digital transformation. This is also a part of Intel’s efforts under its World Ahead Program, to improve peopls's lives through access to uncompromised technology and education for people in the world’s developing communities.